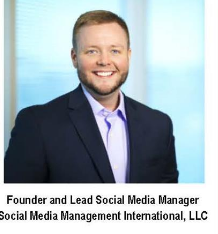 Chicago, IL– May 2, 2016–Christopher Wick, Founder & Social Media Consultant, SMM International, was invited to teach two social media workshops for Campus Communicators, a communications and marketing professionals group, along with university students on May 2, 2016, at the University of Illinois at Urbana-Champaign. Christopher taught “4 Secrets to Digital Storytelling for Social Media Success,” for Campus Communicators and “5 Tips for Job Seeking College Students on Social Media,” a Careers in Social Media student workshop, hosted by the College of Media & Career Services. Campus Communicators learned about the “secret sauce” of digital storytelling success and how social media marketing evolved into the most powerful engagement-building and social-sharing tool on the planet. Wick’s hands-on session discussed proven digital storytelling success stories involving social media platforms for university faculty and students to increase engagement, by sharing their most memorable living and learning experiences in college. Both social media lectures reached in-person and online audiences of university faculty and students. The “4 Secrets to Digital Storytelling for Social Media Success” lecture was presented online through live audio streaming technology. The 2016 University of Illinois Social Media Conference. University students tapped into the “power of social media,” while learning effective “trade secrets.” Students learned to develop successful job search and employment strategies, to secure a social media career upon graduation. Christopher discussed real-world job search tactics for preventing common and serious online social media mistakes, crafting the new age resume using social media and LinkedIn profiles, and exploring entrepreneurship by launching a start-up business in college or after graduation. “Now, more than ever, having a professional social media presence is essential for students and faculty. Both audiences at the University of Illinois were incredibly knowledgeable about social media.” “I know with the right social media management tools, they will excel with the information they learned at the conference. 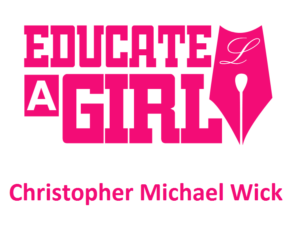 ” says Christopher Wick, Founder & Social Media Consultant.